After settling on the model of the lathe machine suitable for your needs, people tend to forget that planning for installation is equally critical for efficient operation of the equipment. It is wise toscrutinize all details of the installation area before the actual day of delivery and machine setup. Where possible it is recommended to obtain a two dimensional drawing of the equipment before arrival for better space and position planning. Illustrated here are some very important ideas when setting up your new Lathe machine. It is wise to be clear on the electrical requirements that your CNC lathe machine needs, the power rating, current requirements in order to determine the contacts switch system to use and even the correct cabling for this type of load. It is recommended to check the placement of the electrical source and ensure that it is accessible near the new machine station. A qualified electrician, who ensures that the connection and integration requirements are met, must do all electrical fittings. Always settle on a particular type of lubricating, hydraulic and coolant that your equipment will use. They must be purchased before running the machine to ensure that the equipment can be run and tested during the day of installation. Manufacturers recommend having a specific grade of coolant determined by themselves, for efficient operation and long life of the equipment. Here you will need the machine drawing to determine the placement of the machine. Following the installation guidance from the manufacturer helps avoid major running problems in the future.A good example for consideration is the door clearance. Different sizes of equipments will require different clearances. Pre planning these clearances before installation prevent the nightmares that emerge when running and servicing the machine. For good running and durability of the lathe machine, the air source needs to be free of humidity as much as possible. This prevents rusting on the inside parts of the machine which are never dried or cleaned. This condition has been observed in compressor systems that have no dehumidifiers. Moisture management must be done since rust can quickly destroy an otherwise good machine tool. Machine tools and especially the Lathe machine are heavy objects. The equipment must be held on a good solid slab that would not easily crack or bend due to vibration. Uneven surface will also lead to poor and incorrect operation of the machine. You may also get help from the manufacturer over the best foundation for the machine. It is always good to avoid surprises such as the equipment not being able to fit through the entry to the workshop, where part of the wall has to be damaged then repaired again. When all these steps have been followed accurately, the installation process is smooth and successful. It is then important to have a proper plan for general maintenance of the equipment. 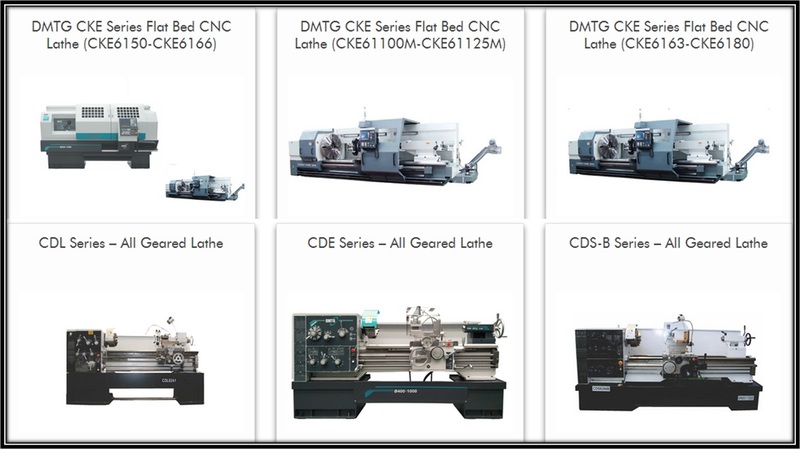 Bhavya machine tools supply these innovative lathe and CNC machine tools. The company also provides great guidance on the installation and maintenance requirements. How to Buy Lathe Machine for Your Workshop? This entry was posted in All Geared Lathe Machine, Lathe Machine by Yash Shah. Bookmark the permalink.